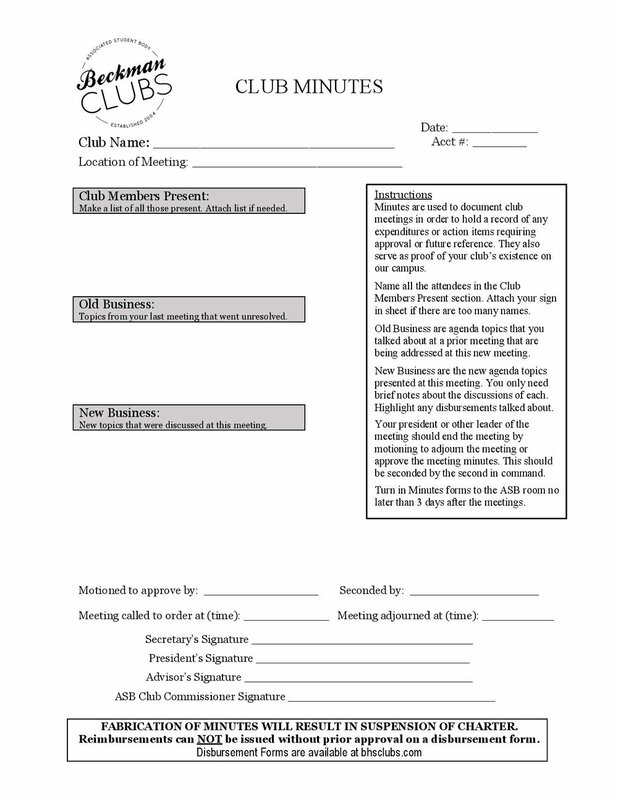 Minutes are used to document club meetings in order to hold a record of any expenditures or action items requiring approval or future reference. They also serve as proof of your club’s existence on our campus and allow for people who were not present at the meeting to catch up on any important action items. 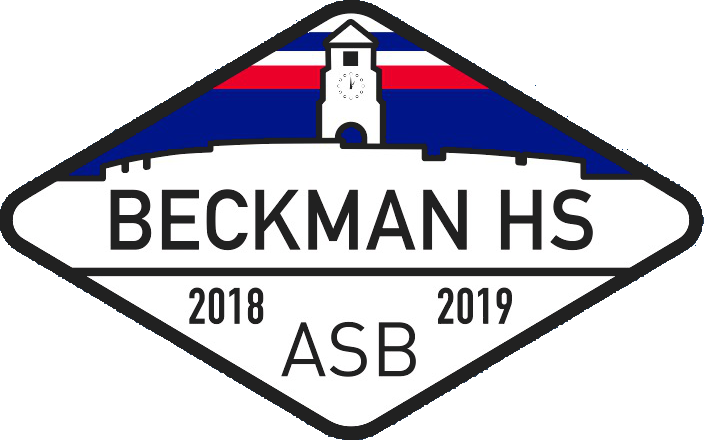 Each month, a club is expected to turn in a calendar of their meetings, events, and fundraisers to allow for Beckman Clubs and ICC to (1) create a master calendar for our use in approving fundraiser and event requests and (2) to allow for interested students to be able to attend a meeting or event. Club Minutes are ineffective when applied to our interest groups that solely meet to share an interest. This form is in substitute of the clubs meeting minutes form and should be submitted after every club gathering. All Clubs have an ASB Account where they keep their money for future club enrichment purposes. All expenditures must be pre-approved by ASB before money is spent in order to receive reimbursement for spent funds. Completed forms must be submitted with your minutes to the ASB Room no later than a day before the weekly Wednesday ASB Meeting. BEFORE USING ANY FUNDS, IT IS MANDATORY TO SUBMIT A DISBURSEMENT FORM. NON-APPROVED PURCHASES WILL NOT BE REIMBURSED. All items sold (such as club merchandise and fundraiser items) must be recorded on paper. When collecting money for items, fill out the items sales worksheet and deposit the collected money with this form filled out. Deposit collected monies to Mrs. Oberlin in the student store, with an accompanying item sales form. These two forms are essential in planning and getting approval for club events, activities, and guest speakers. Once you submit these forms, your request will go before the ASB for approval or rejection based on details provided on the form. Results of your proposal will be emailed out after the Wednesday ASB meeting by the ASB Clubs Commissioner. All events must be attended and supervised by your club advisor. All events must take place on campus or your club could recieve an infraction. Special approvals for off-campus meetings can be made through these forms for review by the ASB. Click here for the forms. Introducing our new Clubs Fundraising Packet! This packet has all the forms and instructions needed in order to have a smooth and successful fundraiser in one place. The front page has explanations of each form and why they are needed. We have defined some terms to help along the way. Restaurant Fundraisers need only turn in steps 1 and 6 of the fundraiser packet. Boba Sales must follow all the steps on the packet. Click here for the packet. If you are unsure about what form to use or need help planning an event, the Clubs Commissioner is here to help! Feel free to contact the ASB Clubs Commissioner with any questions at bhsclubs@gmail.com.